Today on the blog we’re featuring part 2 of an interview with Stephen Wunker, one of the authors of JOBS TO BE DONE: A Roadmap for Customer-Centered Innovation (AMACOM November 2016). Click here for part 1 of Stephen Wunker on the right approach to innovation. 5. What about companies that just aren’t innovative? Do you have any advice on how Jobs can play a role there? We include a lot of the unsexy examples in the book for exactly that reason, from industries like pet food and sports clubs. You don’t need to come up with the next Uber or iPhone, and most companies shouldn’t be trying to. What’s great about using Jobs to be Done is that it gives you a common language to help build that culture of innovation, even where one has never existed before. It helps get your customer insights people, your marketing team, your product development folks, and everyone else all on the same page. Once companies start talking in Jobs terms, it’s amazing how much more in tune with customers they end up being. 6. For managers who want to start being more innovative tomorrow, what advice can you share with them? I’ll give you three ideas. First, get outside the office and talk to real customers. That gets overlooked way too often. Second, start thinking about how you might build a process to both understand and respond to customers’ jobs. If success isn’t repeatable, you’re going to waste a lot of resources on failure. Third, drop your industry-specific or product-specific way of looking at things. When you start talking in terms of jobs, the whole landscape of competition changes, and so do the possibilities for innovation. 7. You’ve mentioned both jobs and circumstances as elements of success. What else is there that companies need to know about customers? In the book we talk about a framework we call the Jobs Roadmap, which looks at eight different pieces that all come together to help us understand why customers buy what they buy. That looks at everything from the jobs they’re trying to get done to the criteria they’ll use to evaluate a new solution to how much they value what it is you can offer. Looking at all of those pieces is key. Anyone can get lucky and launch a product that ends up being a success. Having a process that allows you to repeatedly come out with breakthrough innovations is a lot more challenging. That’s where you need a framework that allows you to consistently look at all the right elements. 8. One potential barrier I see is that a lot of companies already have innovation teams and set ways of innovating. Does Jobs to be Done fit with what they’re doing today? One of the things we focus on in the book is how Jobs to be Done fits with the rest of the innovation process. There are other key elements around strategy, ideation, and prototyping – just to name a few – that all need to be in alignment as well. But the short answer to your question is yes. Jobs to be Done is really a tool for reframing the questions that companies are already trying to answer and organizing the insights that they end up gathering. Using Jobs to be Done doesn’t mean abandoning ideas like Lean Startup or Six Sigma. They can all work together as long as you’re clear about when and where to use each one. 9. What about companies that just aren’t innovative? Do you have any advice on how Jobs can play a role there? 10. For managers who want to start being more innovative tomorrow, what advice can you share with them? Today on the blog we’re featuring part 1 of an interview with Stephen Wunker, one of the authors of JOBS TO BE DONE: A Roadmap for Customer-Centered Innovation (AMACOM November 2016). Innovation is one of the central buzzwords of our current era–but so many companies go about it the wrong way. Read on for Wunker’s explanation of how to do it right. Stay tuned for part 2 next week! Many companies focus on asking customers what they want or how satisfied they are with their past purchases. Why do these common questions represent the wrong approach to innovation? The analogy we often make is that using past behavior and customer wish lists to innovate is like trying to drive using only the rearview mirror. When customers talk about what they want in a product, they’re drawing on what they already know, often from looking at what your competitors are already doing. If you want to design truly innovative products that customers will seek out – and even pay a premium for – you need to understand what tasks they’re struggling to get done in their lives. We call those tasks their jobs to be done. What is the Jobs to be Done concept, and why is that a better way to innovate? The Jobs to be Done concept basically says that customers “hire” products to get things – or “jobs” as we call them – done in their lives. When the products that they’re currently using make it difficult to get a job done, they’ll start thinking about “firing” those products in favor of new ones. Think about hailing a taxi before Uber. You might have to wait out in the rain hoping a cab would stop for you; then once you got a ride, you would nervously check your wallet as you watched the meter continue to tick up on the drive. When you look at how many pain points there were around satisfying such a basic job – confidently being able to get from point A to B – it’s no wonder that consumers were so willing to embrace a solution that could improve the experience. In the book, you talk about jobs being both functional and emotional. Why is that important? When I said that Uber helps you confidently get from point A to B, you’ll notice that that includes both a functional and an emotional piece. Getting where you need to go is important, but so is knowing that someone will actually pick you up as you race to catch a flight or that your driver won’t bring you in circles to increase your fare. That emotional piece is what helps companies set themselves apart from the competition, and it’s often what allows you to create premium offerings that you can charge more for. When we talk about a lot of new companies, whether it’s Uber or Airbnb, we often say they’re disruptive. How does this idea of disruptive innovation relate to Jobs to be Done? It’s no coincidence that disruptive innovation and Jobs to be Done were both popularized by Clayton Christensen. He’s a professor at Harvard Business School and was actually my mentor for a number of years. His two theories are closely related. Disruptive innovation helps you understand when a market is overshooting what customers actually need – when it’s primed for someone to step in and excel along the dimensions that really matter. Jobs to be Done tells you what those dimensions are. It tells you how to design the products or services that customers really want, even if they’re struggling to articulate exactly what it is they’d want in a new offering. 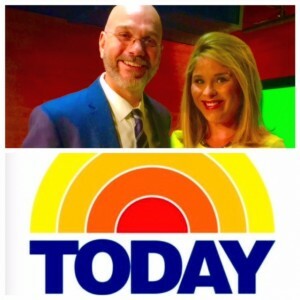 Sean Grover, author of WHEN KIDS CALL THE SHOTS: How to Seize Control from Your Darling Bully — and Enjoy Being a Parent Again, appeared on the Today Show on July 28th, 2015, interviewed by Jenna Bush Hager. Watch the segment titled “Why children bully their parents and how to regain control” here. Our American Management Association New Media Team recently spoke with Scott Edinger, co-author of The Hidden Leader: Discover and Develop Greatness Within Your Company, for its 3 Questions series on the American Management Association YouTube Channel. What are the characteristics of a Hidden Leader? How do Hidden Leaders help a business grow? How do you create a culture of leadership in all levels of an organization? Scott K. Edinger, is founder of the Edinger Consulting Group, blogs for Harvard Business Review and Forbes, and is coauthor of The Inspiring Leader. He is a recognized expert in helping organizations achieve measurable business results. Prior to starting his consulting firm, Scott served as executive vice president for the leadership consultancy Zenger Folkman and as senior vice president of sales for Huthwaite.